Undefeated! 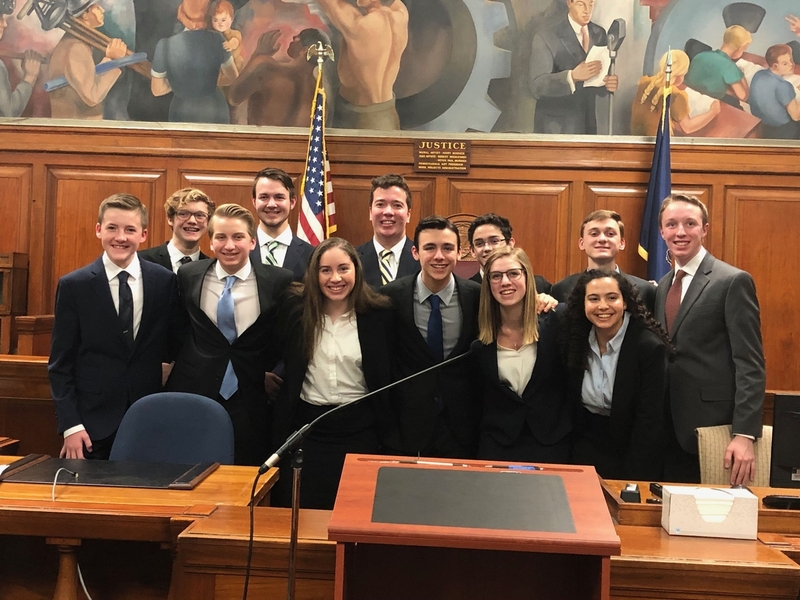 The Mock Trial Team completed the 2019 season with a win over Pine-Richland in the semi-finals and a 5 to 1 ballot win against Thomas Jefferson in the finals at the end of February. The team is now in the top 14 teams of over 300 participating in Pennsylvania! Their undefeated season advances the students to Harrisburg in March to represent Allegheny County in the Pennsylvania State Mock Trial Competition. Congratulations to the team and coaches, Mrs. Nancy Bishop and Eden Alum Ms. Aubrey Smith! And, Go Mock Trial Warriors! Seventh and eighth grade students had a weekend to remember at the 2018 fall retreat in Ligonier. Building on the theme of living fearless lives, Eden staff members shared their personal middle school experiences and areas of their lives where they allowed fear to hold them back. They encouraged and challenged students to stand on God’s Word and step into all He has planned for them! Eden seniors expressed their heartfelt thoughts about living genuine lives directed by a fearless and passionate relationship with Jesus. Through worship and the Word, as well as team building activities that had them laughing and thinking, students deepened their faith and encountered God in a powerful way. 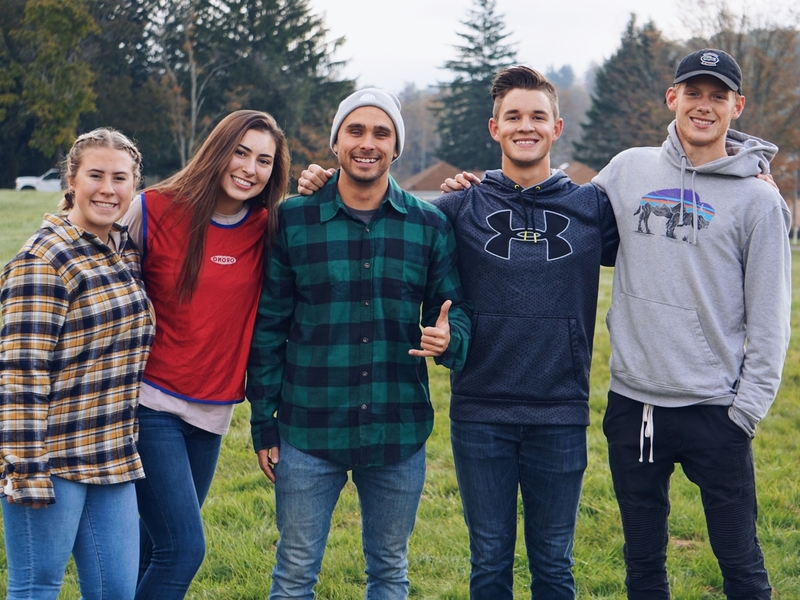 Experiences like the Middle School Retreat, help students connect with their God-given potential and direction for life. As a parent, you can be confident that the values you’re building in your child’s life are reinforced every day at school. Faith & Learning. At Eden, they go hand-in-hand. 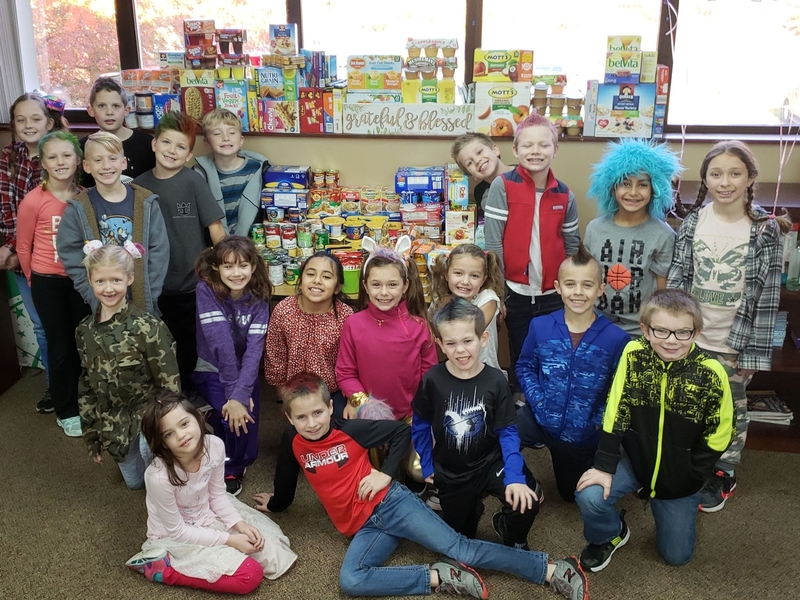 When the third and fourth grade students at Wexford learned about a need in our community, they enthusiastically went to work and collected over 1,200 food items to place in bags through Blessings in a Backpack. 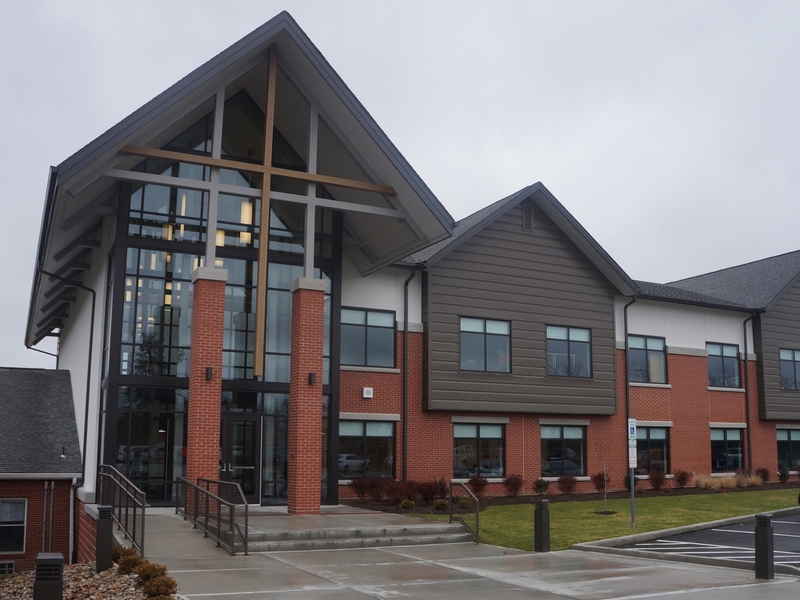 This national outreach provides thousands of weekend meals to students in need and Eden's donations were connected locally in partnership with McFadden Chiropractic who supports Blessings in a Backpack for a designated number of meals for students in a local school district. Eden students gathered around the donated items to pray that those who received them would understand the love of God and be reminded how valuable they are! Growing in faith and making an impact; it happens every day at Eden. With a fundamentals slant, 2D Design, offered first semester, had Eden’s serious art students fully immersed. 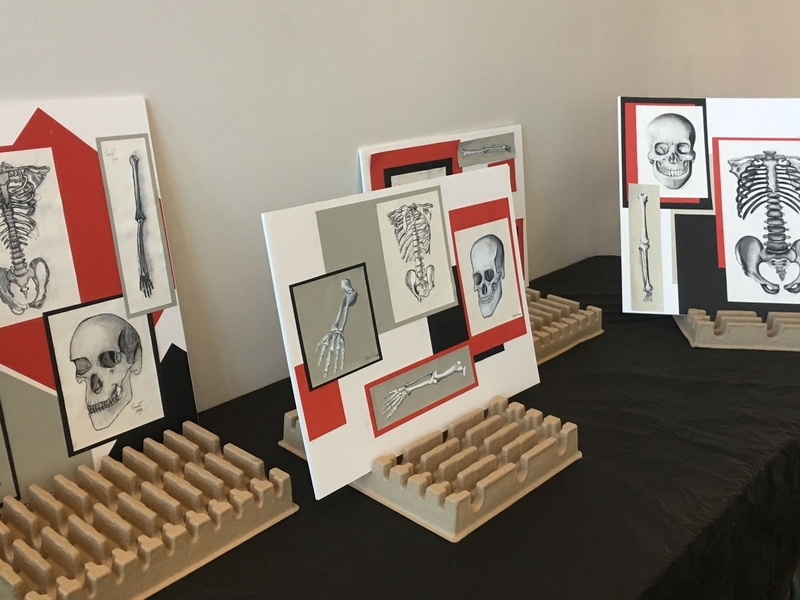 Using charcoal as the medium for lights and darks and integrating the Essential Skeleton App, human form work by 11/12 students was displayed at the Mt. Nebo Campus. Fabulous work! This semester, companion class 3D Design is offered. 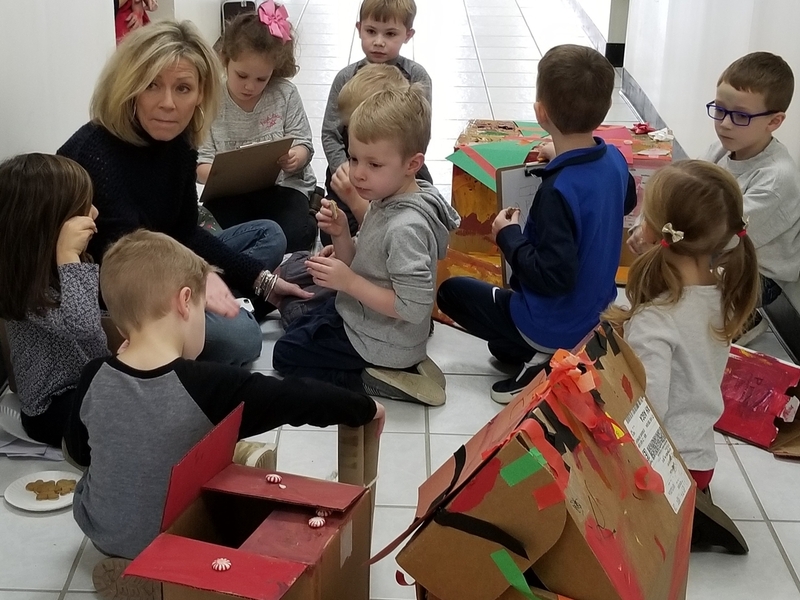 Students in Preschool 4 were excited and thoroughly engaged in a recent hands-on project that began after reading The Gingerbread Baby by Jan Brett. Integrating STEAM (Science, Technology, Engineering, Arts, and Mathematics) initiatives, students worked together to create a plan, build a ginger bread trap, and go on a class adventure through the hallways to discover that their trap was a success and the Gingerbread Baby left them cookies. They love learning! Expanded STEAM initiatives are the focus of Eden’s 35th Anniversary Campaign. Northland Public Library commemorated the signing of the U.S. Constitution with activities, demonstrations, and a poster contest. The event, for students and families, was sponsored by the library and the Kushkushkee Trail Chapter of the National Society Daughter of the American Revolution (NSDAR). Special guests, the Wildwood Long Rifle group, brought American Revolution history to life and fired a time period canon. 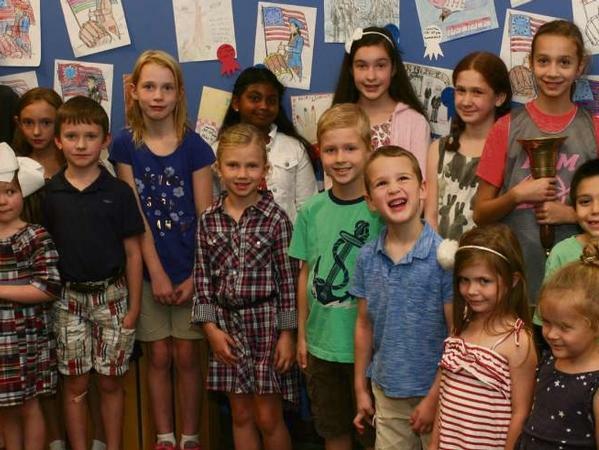 Eden Christian Academy Kindergarten students were awarded for their entries in the “We The People” poster contest. Congratulations to Pearl, 1st place; Lucas, 2nd place; Caleb and Emmalyn, tied for 3rd place! Great work! Hands-on, interactive learning happens every day at Eden. 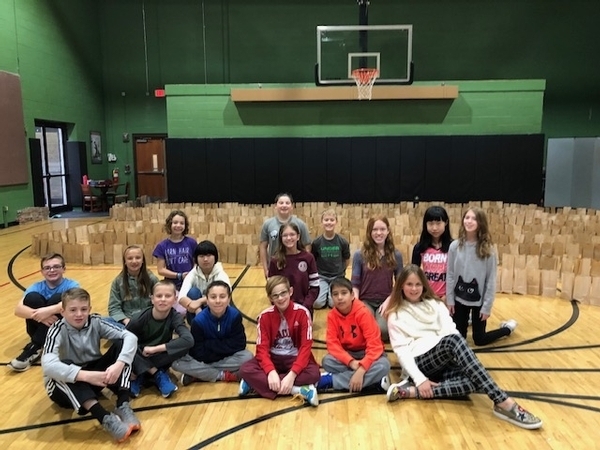 Sixth grade history students put their heads together on an exciting project as they learned about the Great Wall of China. Working collaboratively, they researched facts and used details to map out the wall and build a replica displaying noteworthy data throughout the maze. All the students at the Wexford Campus were then invited to tour the wall, too. 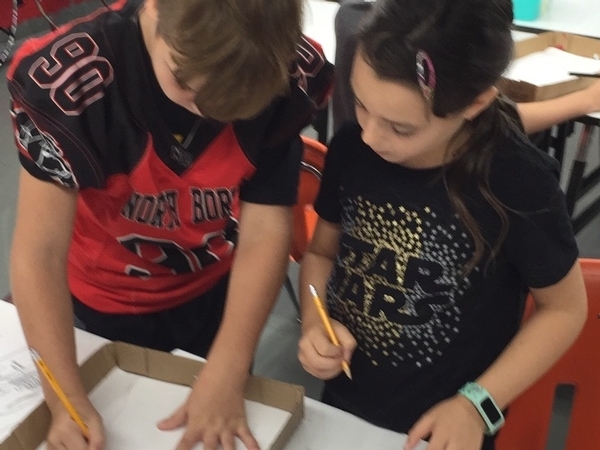 Fourth grade students are taking what they’ve learned about organ systems in class and recreating the parts of the digestive system into mazes as part of a MakerSpace project. After sketching and painting each part, they used straws to separate them and then release a marble to flow through entire the “digestive system,” simulating the route food travels. 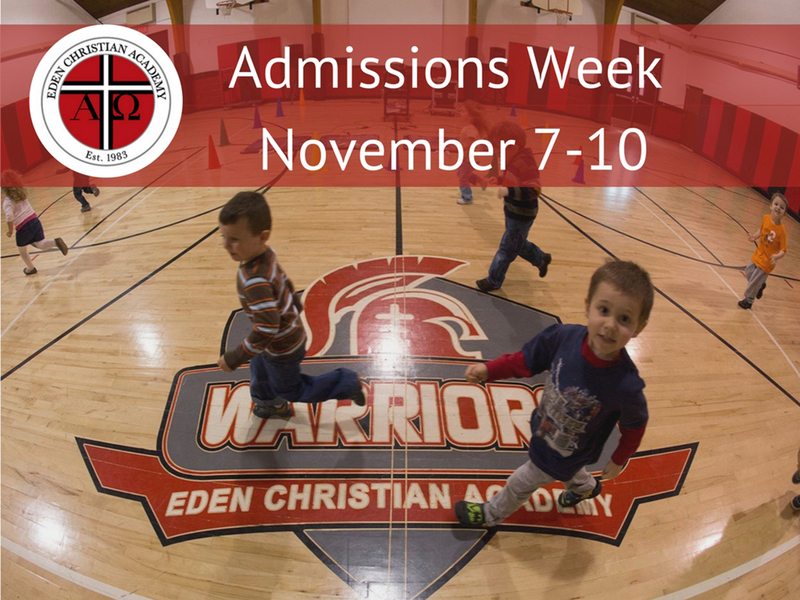 IT'S ADMISSIONS WEEK AT EDEN! If you're new here, welcome! We are so glad to have you, and we hope to see you on campus soon! 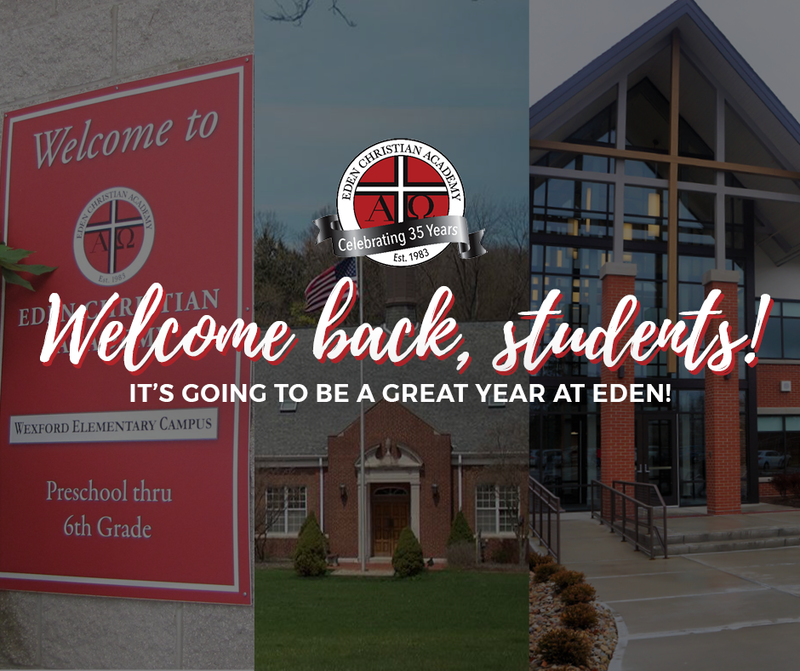 Current families: Join us in welcoming prospective Eden students and their families, and encourage your friends and neighbors to check out Eden too by following us on Facebook and sharing our Admissions Week posts. Listen for Admissions Week ads on WORD-FM and KLOVE! Second grade students kicked off the fall growing season with hands-on learning in the Berkeley Hills Garden, a new addition this year at Eden’s Berkeley Hills campus. They filled cups of dirt and planted beans and peas and said they’re looking forward to watching the sprouts emerge. 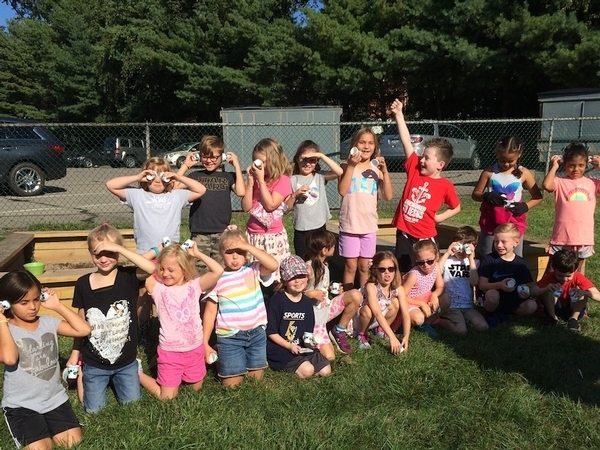 The garden project emphasizes community service and encourages students in grades Kindergarten to 6th grade to expand their knowledge of nutrition and connect to God’s created natural world. Students will plant, water, care for, and harvest vegetables that will be donated to a local food pantry. For more information about the school garden, please contact Heidi Pollick at hpollick@edenca.org. Fifth and sixth grade students traveled to Lutherlyn for a daylong retreat in September. They talked about the food chain and then found living animals in a creek. 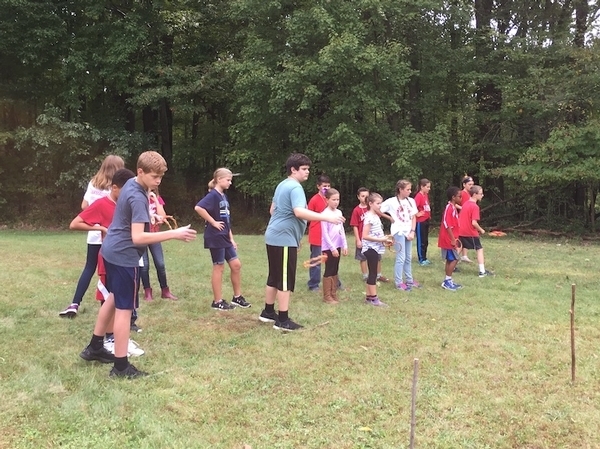 They were able to practice orienteering using compasses, and they played pioneer-style games. Finally, they heard a devotional from a Lutherlyn staff member that incorporated what they had learned about the compass. It was a wonderful day in the woods! 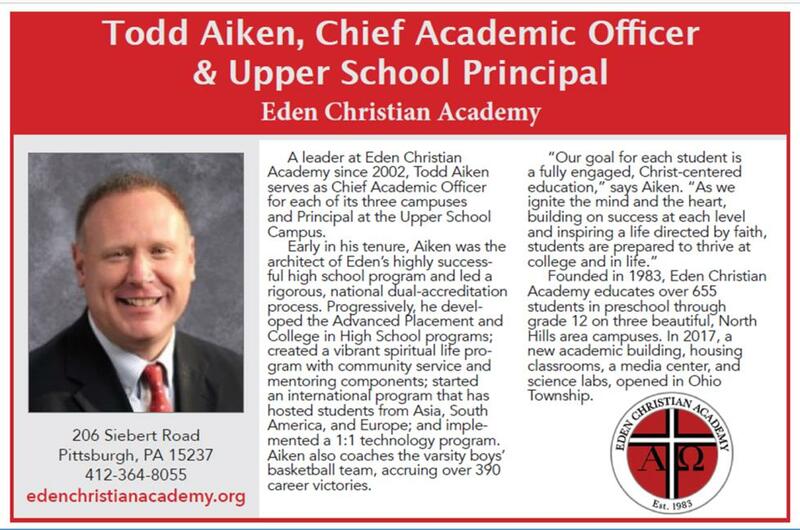 Eden will welcome over 660 students across our three campuses on Monday, August 27. Until we see you face to face, here's a back-to-school Q&A! Is my child's back-to-school supply list available online? How do I sync Eden's calendar with mine? Go to Eden's calendar page on the website and choose the All-School Calendar or your specific campus. Click the calendar icon in the upper right corner for instructions to add Eden's calendar to your Google, Apple ICAL, or Outlook calendar and keep your calendar up-to-date with all the Eden happenings! How do I set up my ParentWeb account? Visit the How-To Guide on the website for easy instructions to set up your ParentWeb account, set up ParentAlerts, and much more! What regular communications will I receive from Eden this year? Elementary school parents will receive an email newsletter from their child's teacher on Fridays and students will bring home a Friday Folder with work from the week and other important forms. Weekly Updates from each campus arrive in parent email boxes on Monday mornings. Read the news and stay informed! When can I expect my first Weekly Update? It's coming your way on Monday, September 3! We love to keep you in the know. When does the hot lunch program begin and how do I order? The hot lunch program hero (Mrs. Ricci) is working on some improvements and all the details aren't yet finalized. We'll keep you informed, so watch for more information! When will I receive my back-to-school packet? Back-to-School packets were mailed on August 3. Let us know if you haven't recieved yours! 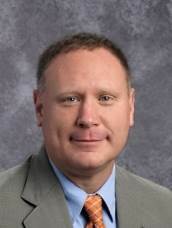 We are excited that Mr. Aiken will be featured in the Face-to-Face With Educators section of the September Pittsburgh Parent Magazine. 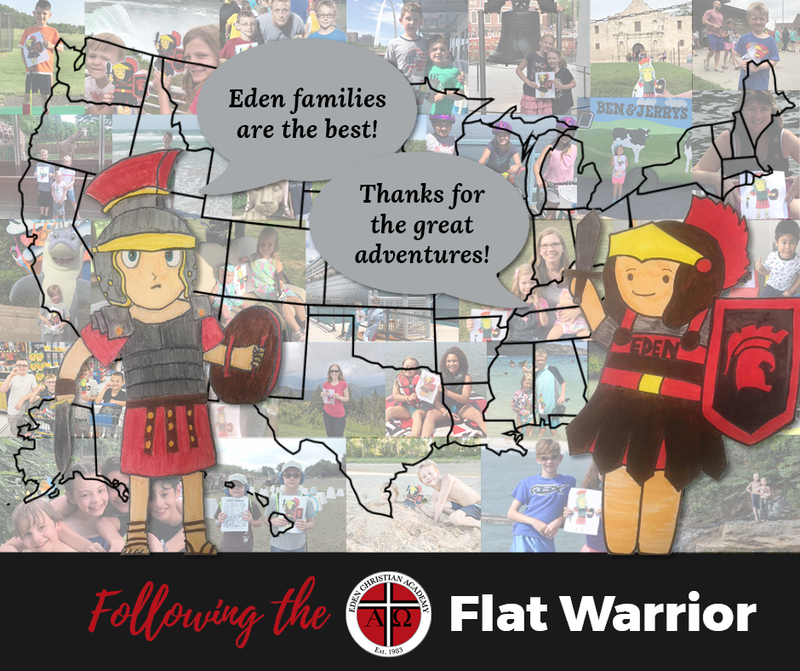 DID YOU FOLLOW THE SUMMER ADVENTURES OF FLAT WARRIOR? Thank you for your participation! We received over 60 photos of creative and amazing adventures you had with Flat Warrior. At Eden, learning isn’t always from a textbook. And, students are having so much fun they don’t realize all that they are learning! 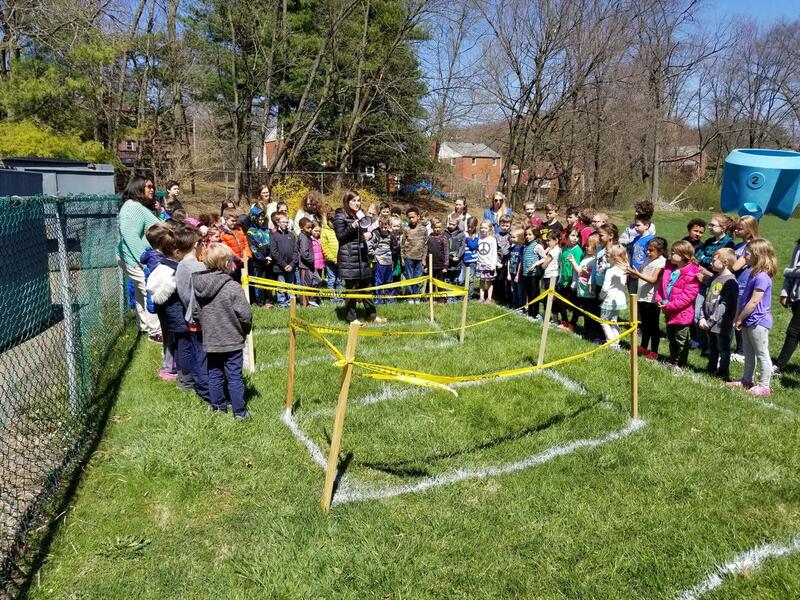 Last week, students at Berkeley Hills were excited to officially launch the School Garden - a hands-on learning experience that will benefit each students and our community! 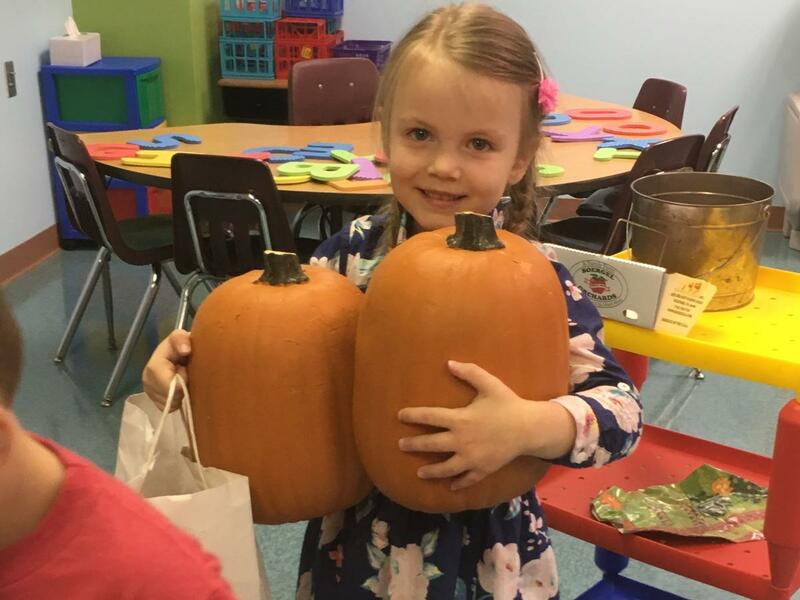 The School Garden project provides cross-curricular integration, community service, expanded knowledge of nutrition, and connection to God’s created natural world and all He has blessed us with! As the project moves forward, students will plant, water, care for, and harvest vegetables that will be donated to a local food pantry. 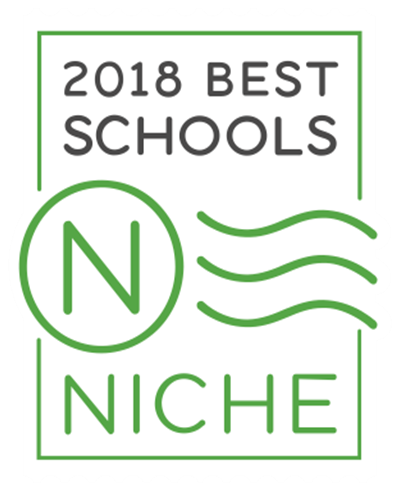 Eden is committed to help students grow in the likeness of Christ by working with parents to educate the whole child – academically, spiritually, physically, socially, and emotionally. 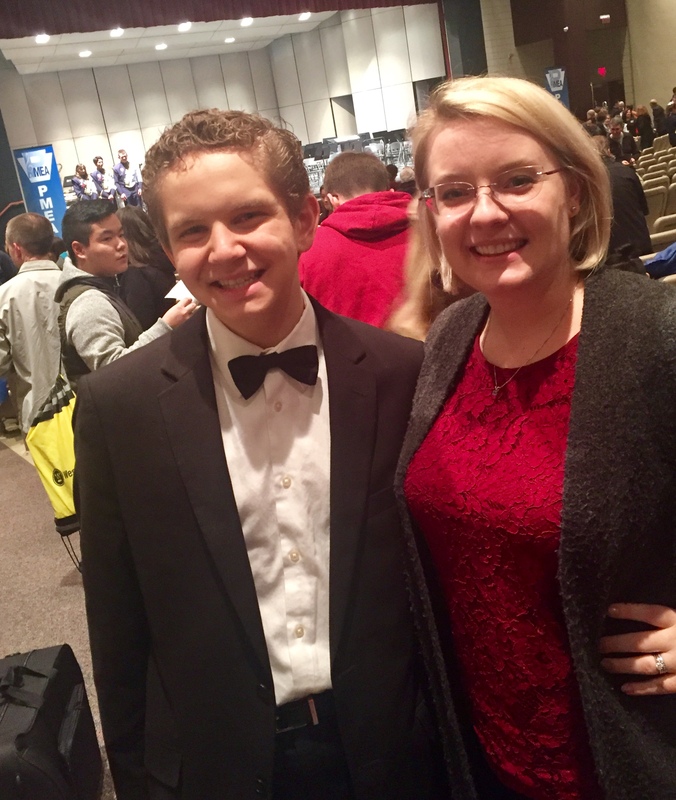 Earlier this month, Trey auditioned for the Pennsylvania Music Educators Association All-State Concert Band and placed first chair out of five bass clarinets. Over 110 schools participated at All-State in six different concerts - all-state band, wind ensemble, jazz band, vocal jazz, chorus, and orchestra. Looking ahead, Trey will audition for the 2019 Eastern Division Conference Honors Ensemble. Congratulations, Trey! You have worked hard and we are so proud of all you have accomplished. Congratulations to the cast, crew, orchestra, set designers, and directors on a fabulous production! 145 students contributed their talents in music, dance, sound, lighting, painting, textile arts, and set design to make the musical a grand success. Students contributed their creative talents as set painters, light and sound designers, orchestra members, as well as t-shirt design. Mr. Sjol’s Engineering Class designed the movement of the clock hands. Mrs. Dornsife’s Fiber Arts Class created the handmade tissue props. In March, Eden Christian Academy inducted the National Honor Society and National Junior Honor Society Class of 2018. The Honor Societies represent five pillars that are identified attributes of inductees and existing members: Honor, Scholarship, Leadership, Citizenship, Service and Character. Please join us in congratulating the Honor Societies Class of 2018! 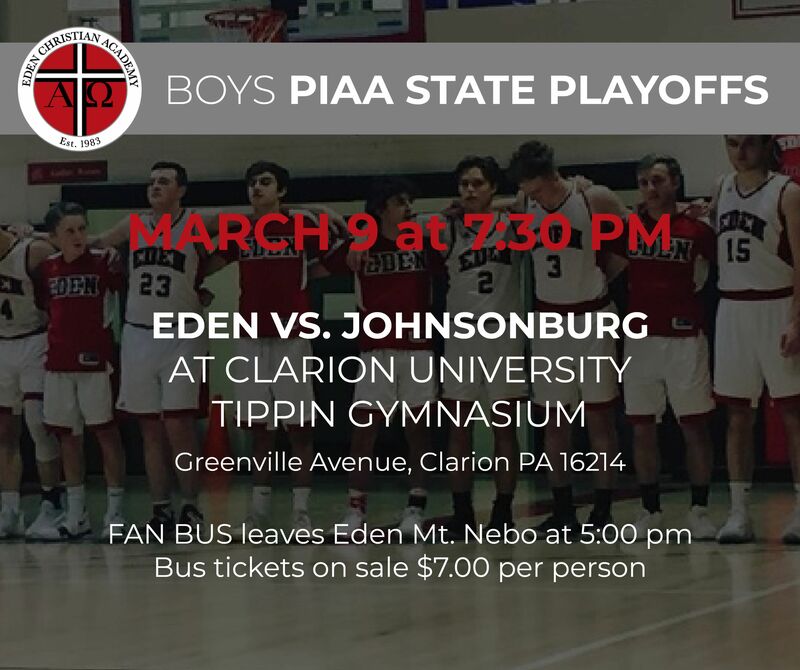 On Friday night, the varsity boys defeated Johnsonburg to advance to PIAA Round 2! Student tickets will not be available at the door on game day. All tickets at the game site on game day will be $6. If you plan to attend, please purchase your tickets at Eden - we get a percentage of our advance tickets sales! A fan bus may be scheduled, depending on the game location. 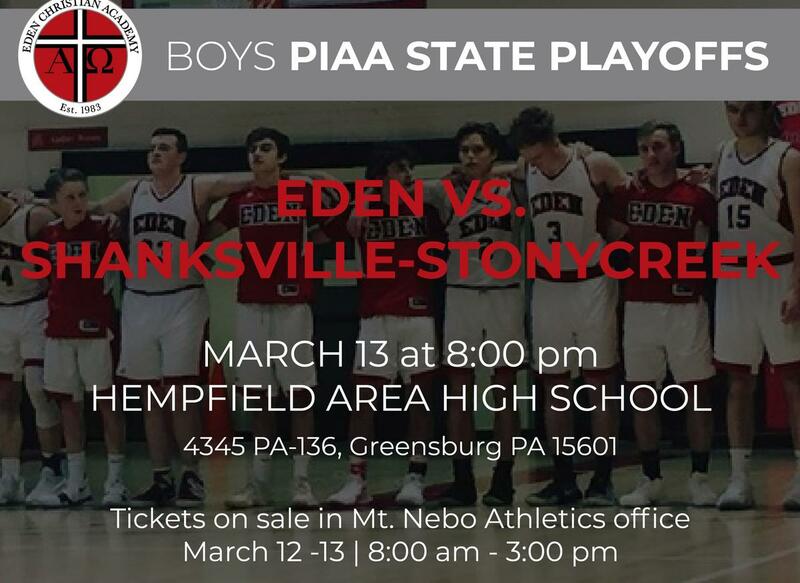 The Varsity Boys Basketball team qualified for the PIAA State Playoffs for the fourth consecutive year! Game tickets, $6.00 adult and $3 student, are on sale at the Mt. Nebo Campus athletic office Tuesday-Friday (March 6-9), 8:00 am - 3:00 pm. All tickets at the gate on game day will be $6. FAN BUS tickets are $7 per person and are also on sale at the athletic office. The bus will leave Eden Mt. Nebo on Friday at 5:00 pm. 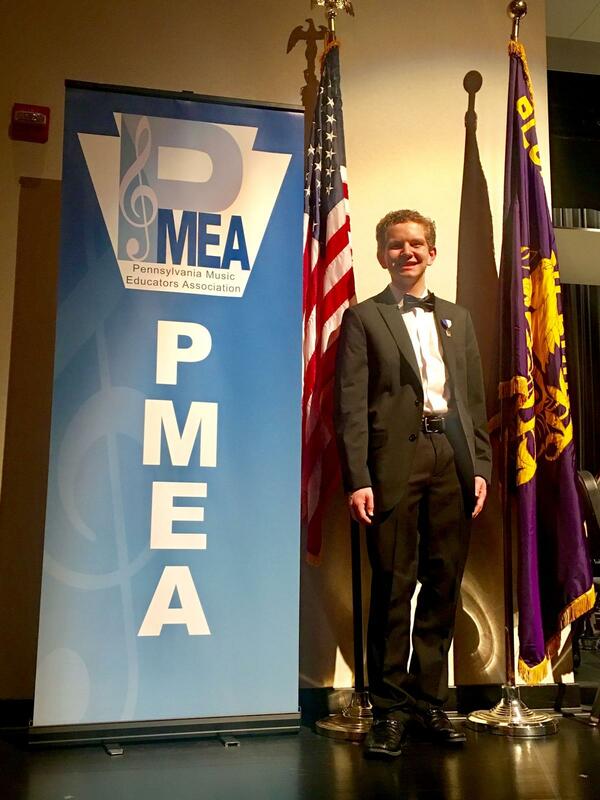 FEB 21: Trey earned principal chair bass clarinet in the PMEA Region 1 Band and performed on February 23 at Plum Senior High School auditorium along with students representing over 60 high schools. Trey advances to States in Lancaster, PA.
We are so excited for you, Trey! 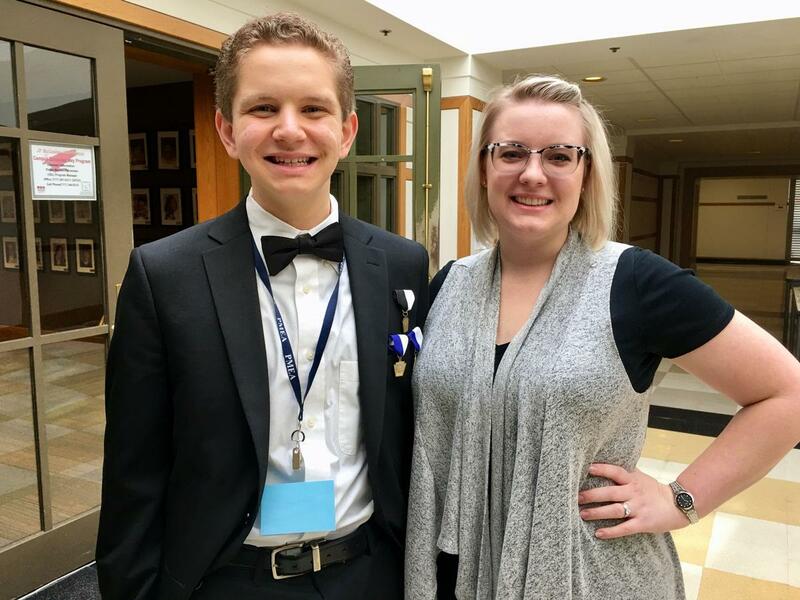 Upper School student Trey, grade 10, recently competed in the Pennsylvania Music Educators Association District Band West Festival along with students representing 45 local high schools. 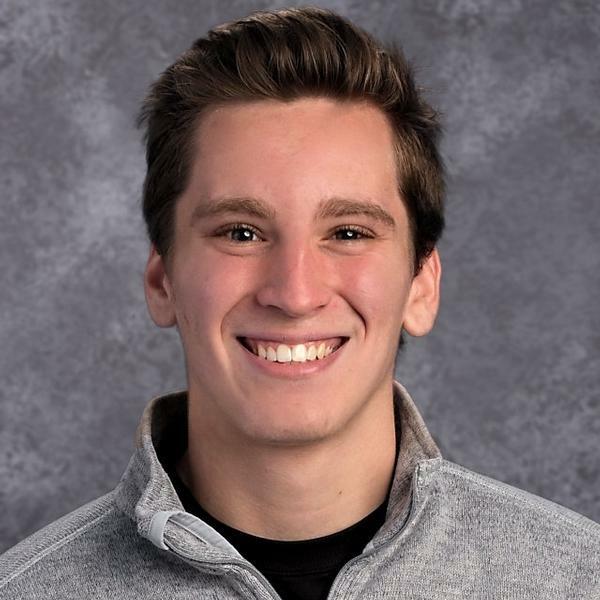 Trey sat principle chair bass clarinet at the festival and was one of the students chosen to advance to regional competition on February 21-22 at Plum High School. Trey is Eden’s first musician to qualify for district competition. Congratulations, Trey! The whole Eden Family is cheering for you! FEB 22: The Warriors played the Union Scotties in the WPIAL Quarterfinals at Fox Chapel High School. After taking an early lead, they fell behind by 8 at the end of the first. They fought back and tied the game 29-29 just before the half but the Scotties pulled away in the third quarter outscoring the Warriors 23-8 in that frame. The Warriors could not get back inside double digits and were eliminated from the WPIAL playoffs. 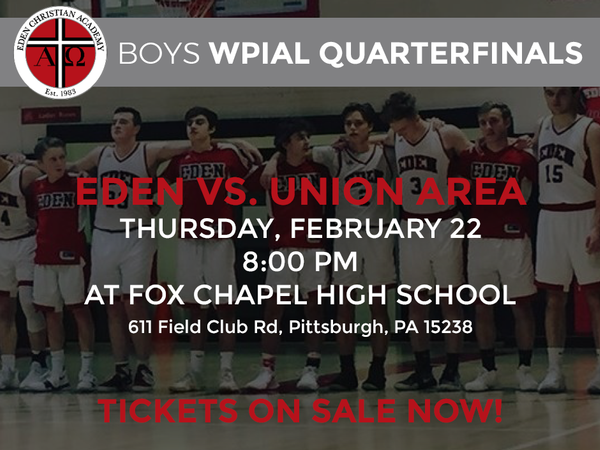 Final score: Union Area 67, Eden 52. Chase Haring led all scorers with 27 points. Congratulations to the players and coaches on a successful season. Thank you to all the students, parents and Eden staff that came to support! The Varsity Boys Basketball team is advancing to WPIAL Quarterfinals! 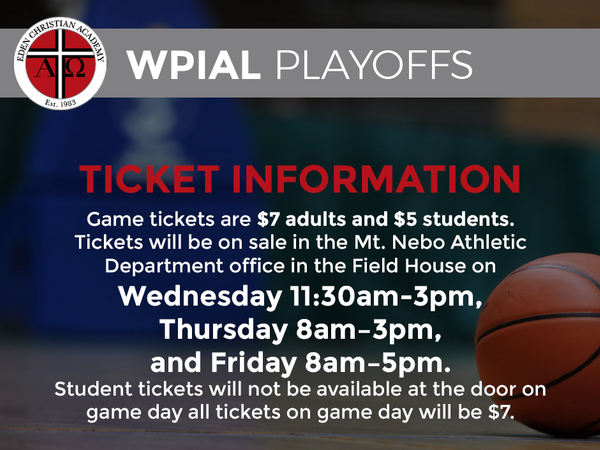 Game tickets will be on sale in the athletics' office (field house) today from 11:30am-3pm, Wednesday 8am-3pm, and Thursday 8am-5pm. The price for adults is $7 and the price for students is $5. Student tickets will not be available at the door on game day. All tickets at Fox Chapel on game day will be $7. Last year, Margaret, Kylee, and Hannah set a goal to raise $4500 to build a home for a family in need through Homes of Hope in Costa Rica. 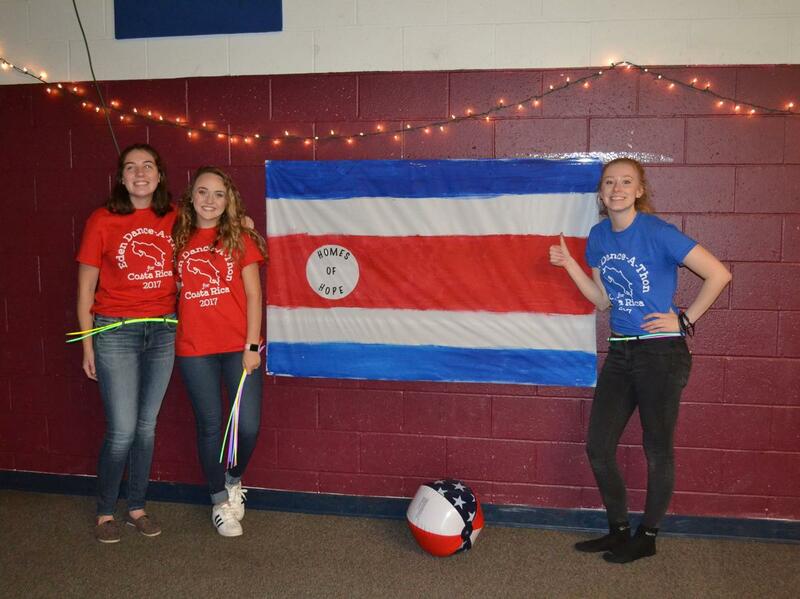 They went to work planning and organizing their senior project, a Dance-A-Thon held last November, and raised over $2500 at the event! Determined to meet their original goal, Margaret found a sponsor who donated the difference and they were able to provide $4500 to Homes of Hope to fully fund a home. This June, Margaret, Kylee, and Hannah, along with Eden high school students who participate in the Costa Rica mission trip through Joshua Expeditions, will have the awesome opportunity to serve Homes of Hope on the “Aphesis” house build that was paid for by these contributions. 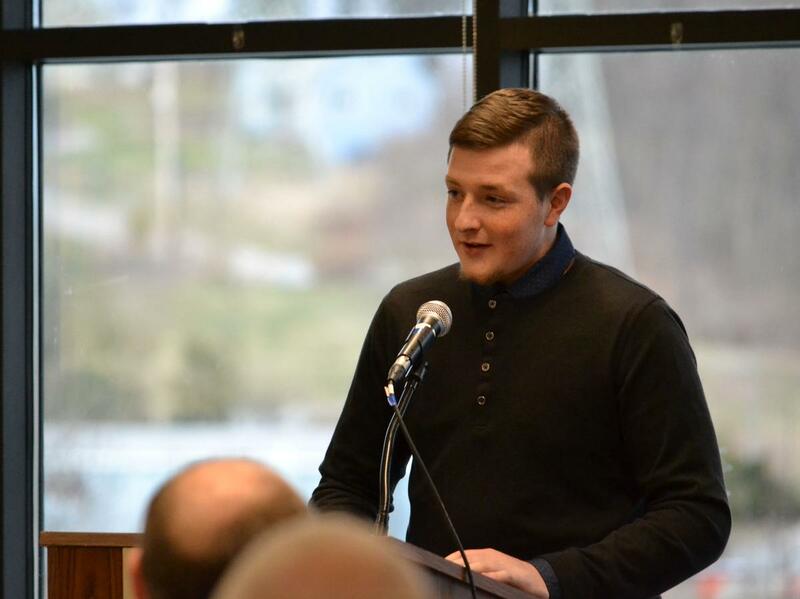 These students are truly sharing their faith both in words and action. Wexford Campus Warrior Leadership Team students put their faith into action at the January 20 Spaghetti Dinner fundraiser at The DoorWay, a ministry for youth in Pittsburgh. 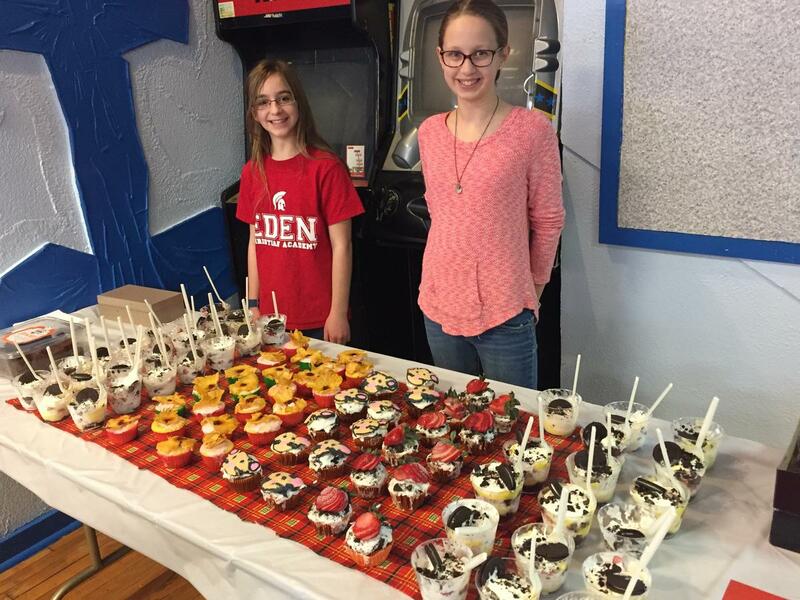 Nearly 40 families enjoyed the event where Eden students performed songs from their Christmas musical and provided dessert and raffle baskets. Half of the $1300 event proceeds will fund ministry at The DoorWay and the other half will help fund the Warrior Leadership Team’s spring project. 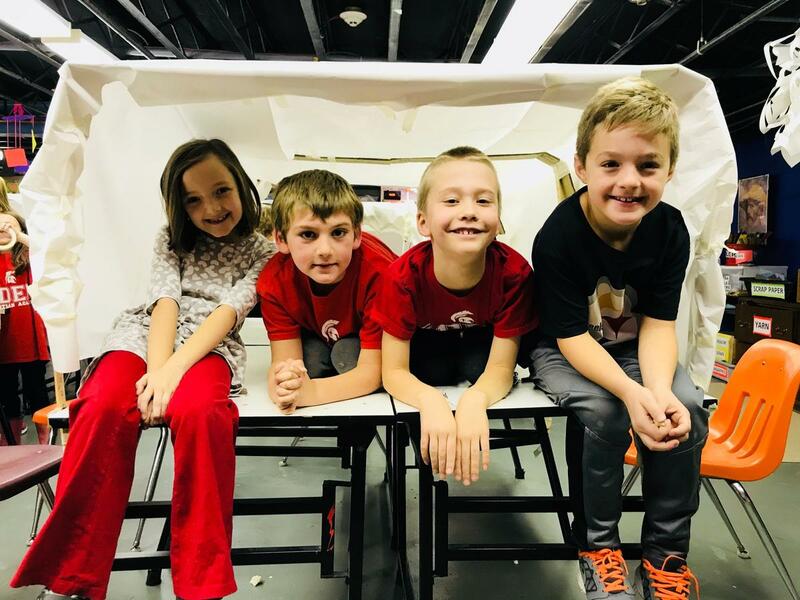 Second grade students applied problem-solving, teamwork, and planning skills as they built Conestoga wagons using only yardsticks, cardboard, paper, and tape. Learning about the Oregon Trail came to life as the students engaged in this creative, hands-on MakerSpace project. 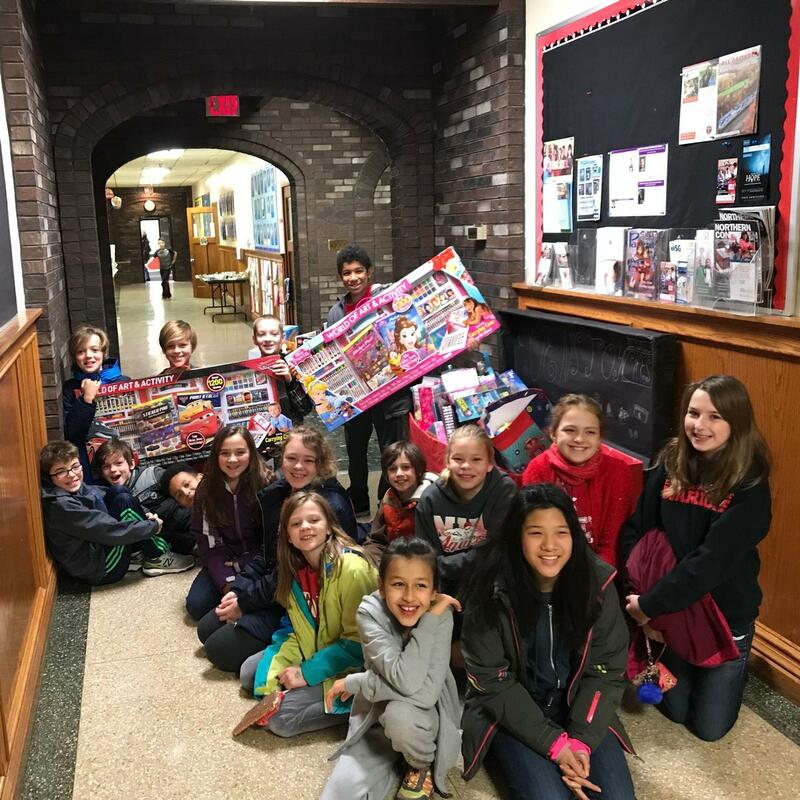 Berkeley Hills students on the Warrior Leadership Team (WLT) recently joined forces with the Ross Township Police Department to lead a campus-wide toy drive for children in our community who wouldn’t have a gift to open on Christmas morning. It was exciting to see the collection box beginning to fill and soon overflowing with marvelous gifts! Early in December, the WLT gathered them and traveled to the Ross Township Police Station to work alongside officers organizing hundreds of toys into gift bags for each child. The students did a great job and, afterwards, the officers gave them an awesome tour of the station (including a five-minute stint behind bars) and hosted them for a pizza party. A week later, the WLT was escorted by Ross Township police officers to deliver some of the toys to families in the community. Thank you, Eden families, for your generous support of the project. And special thanks to all the Ross Township police officers for allowing us to partner with you and for your courageous service to our community. Eden students were blessed by this opportunity to serve others, share the love of Christ, and make a difference in the lives of families in our neighborhood. Currently, the app includes school districts in the Pittsburgh and Boston regions and, for a limited time, is free. 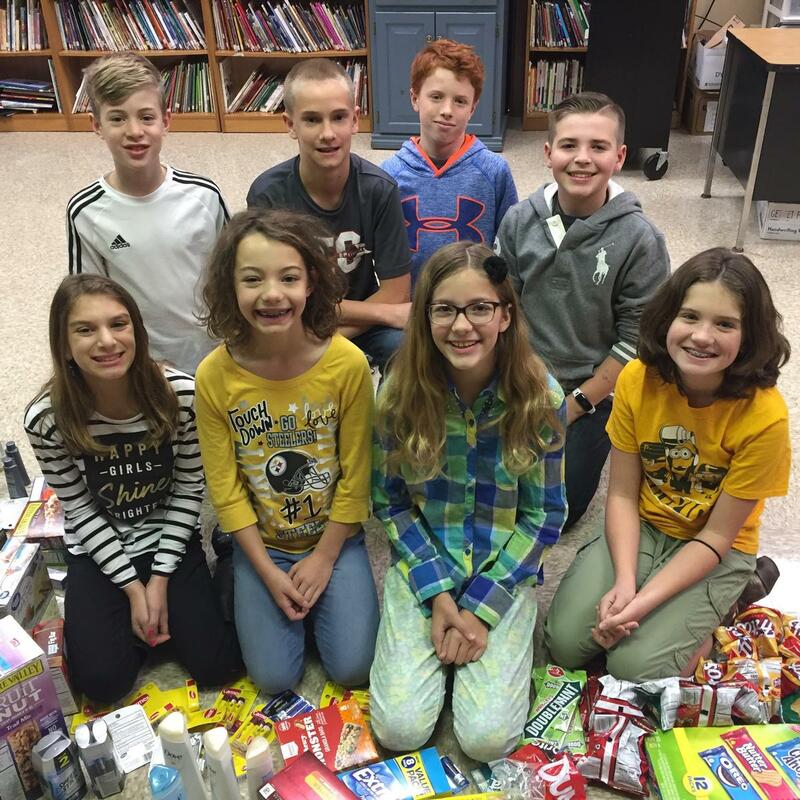 From wearing red, white, and blue to collecting items for care packages, students honored veterans and those who are currently serving in our armed forces in celebration of Veterans Day. Artwork lined the hallways at Berkeley Hills and cards were displayed outside the school office in Wexford. Students spent time in prayer for these heroes, remembering their service and the privilege of living in a free nation. Eden's first All-Class Reunion was held on November 25 with nearly 70 Eden Alumni in attendance. 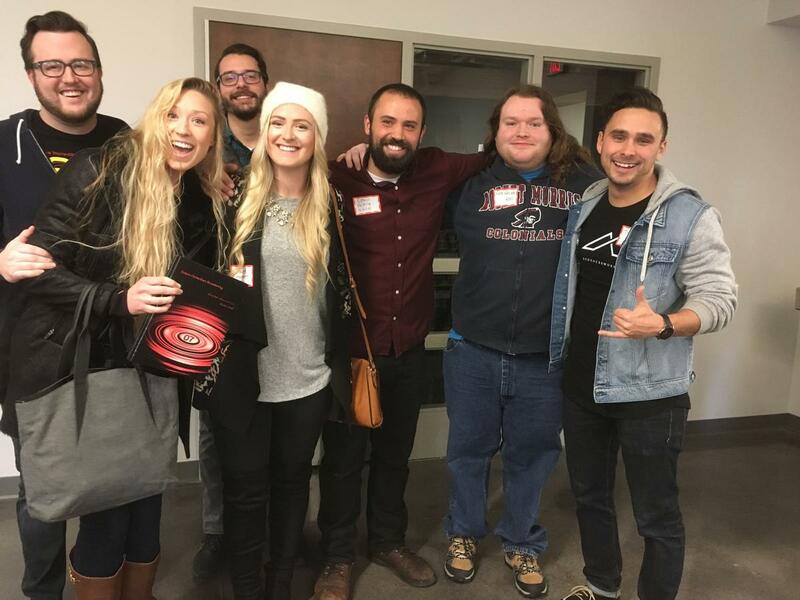 Graduates from the class of 2007 through 2017 toured the new Mt. 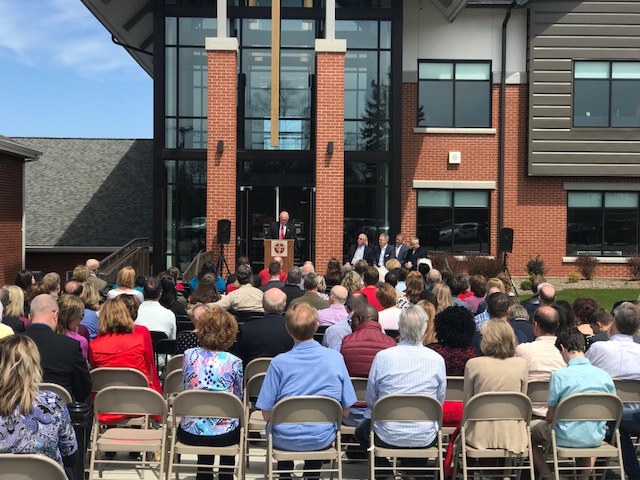 Nebo Campus academic building, reconnected with former classmates, and shared laughter and great food! 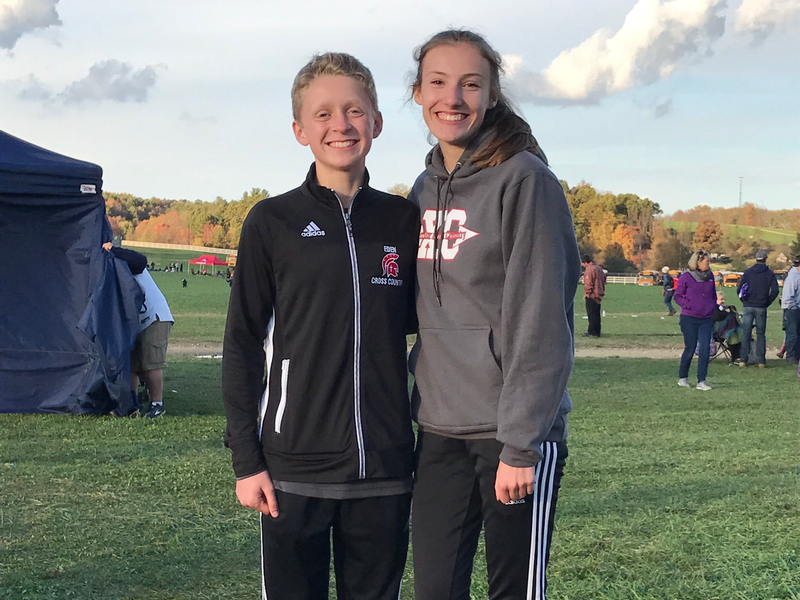 Congratulations to cross country runners, Emma Steele and Eric Gronbeck, who will compete on November 4 in the 2017 PIAA Championships in Hershey, following their qualifying runs at the WPIAL Championships at Cooper’s Lake in October. All the best to Emma and Eric as they head to the state championships! 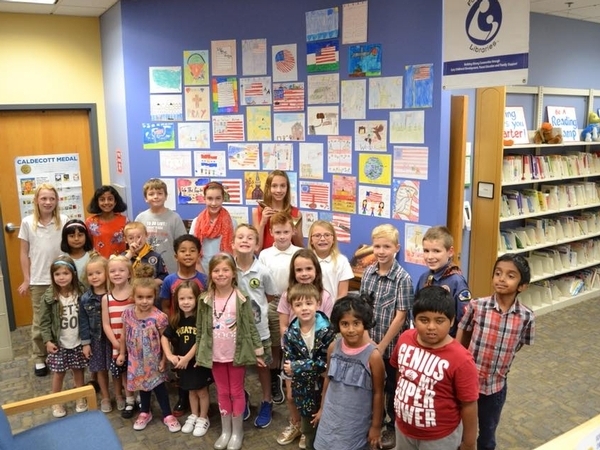 We are proud of the Eden students recently recognized in an awards ceremony at Northland Public Library for their winning posters in the “We the People” contest. George Ebenezer talked with Eden students at the Mt. 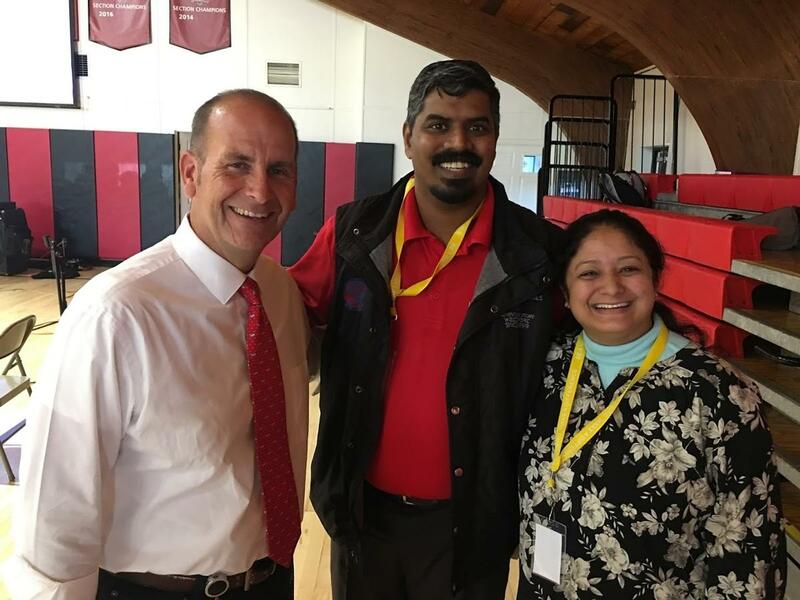 Nebo Campus about the Beyond Barriers ministry in India.It was an honor to have him and his wife, Manju, visit us in chapel. 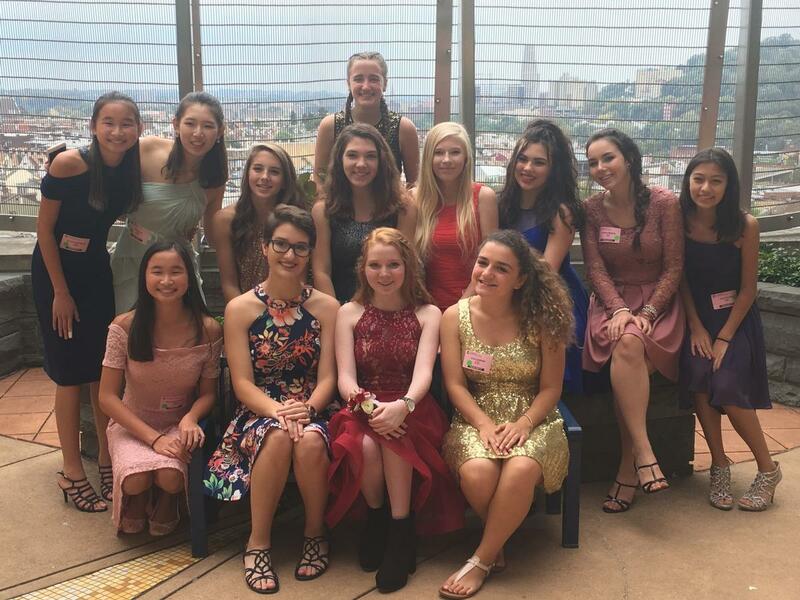 When Eden students learned that their friend, Brianna, would not be able to attend the high-school Homecoming Dance, they put their faith and love in action to bring the dance to her - at Children's Hospital! This caring group of young women dressed for the dance and brought food, gifts, fun, and laughter to Brianna's hospital room. Special thanks to Miss Cassie Herbert, English Department, who organized, coordinated, and led the wonderful celebration! Imagination comes to life as kindergarten students visit the Farmers' Market for hands-on exploration and cross-curricular challenges. Learning is fun as they count, sort, weigh, price, and sell produce; pretend to plant and harvest a garden; and read and draw! Generous donations to our Warrior Classic Golf Outing helped fund the purchase of a brand new van for Eden! 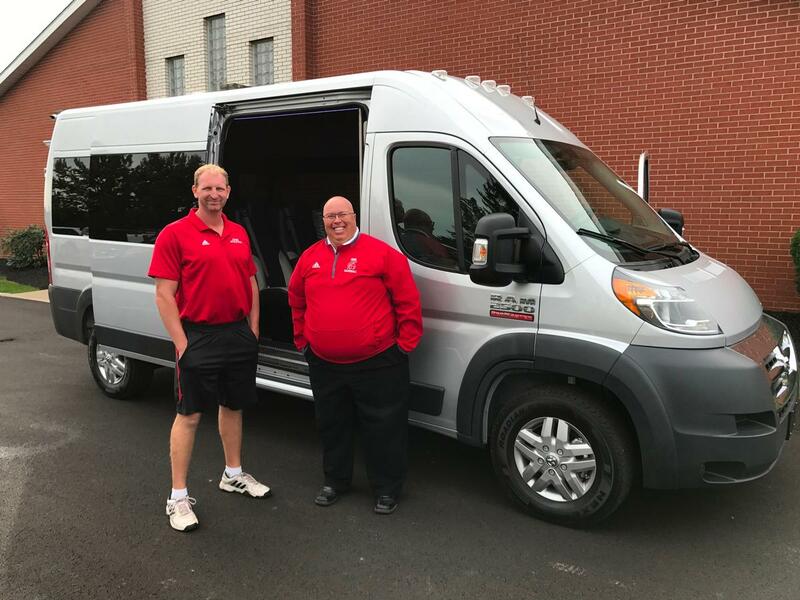 Athletic Directors Steve Good and Greg Foltz are thrilled to start the school year with transportation for student athletes to events. and invite them to come see us!